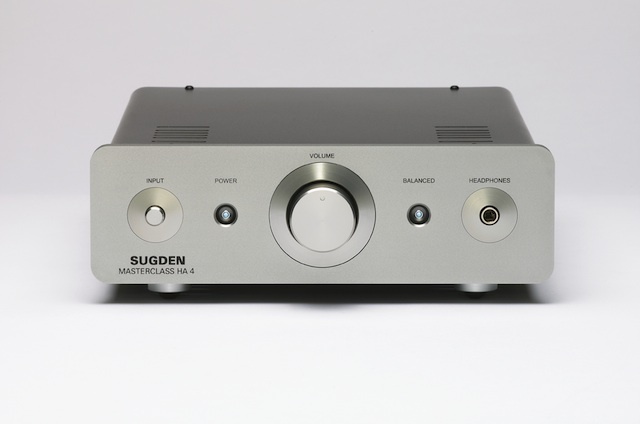 The Sugden Audio Masterclass HA-4 is the last word when it comes to true high-end dedicated headphone amplifiers. 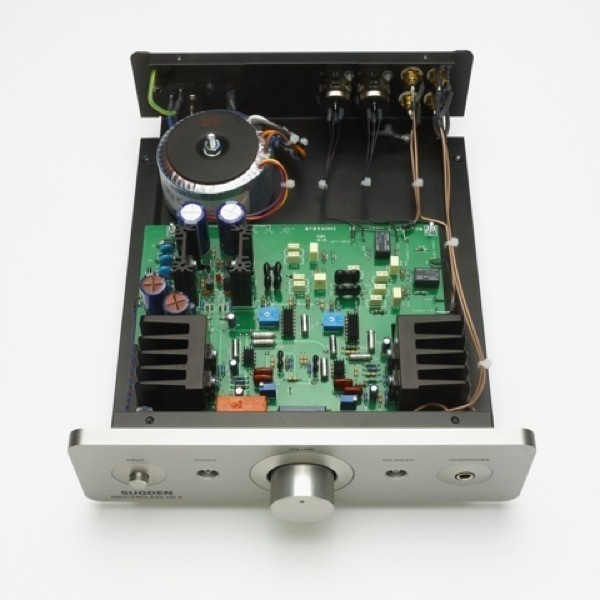 This very special Class ‘A’ amplifier has been developed to extend the boundaries of “near field listening” to a level of musical performance that is truly amazing. The HA-4 has the ability to recreate all types of music in dynamic, detailed, transparent and harmonic performance, with every nuance retained. Euphonic performance which will enthuse and encourage the listener to enjoy simply more music. Designed and manufactured in Sugdens West Yorkshire, England factory where the in-house skills are are dedicted to musical performance, aesthetic design, pride of presentation and absolute customer satisfaction. The HA-4 is housed in a most attractive composite metal case of aluminium and steel, with anodised and powder coated surfaces that exude quality. The HA-4 is equipped with two inputs, two outputs and a manual volume control. It has its own built in power supply and Euro plug mains power connector. 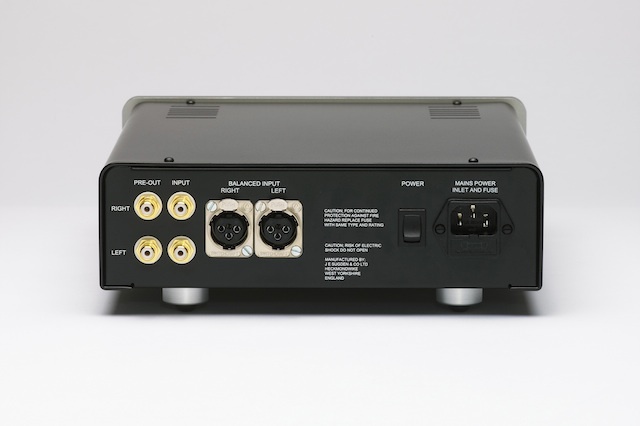 The HA-4 is one of a few high-end headphone amplifiers to accept two inputs: XLR (Balanced Mode) and Assymetric Phono RCA (single ended), both inputs being stereo pairs. Selection of either input is via a logic relay circuit operated by a front panel push button switch. The two outputs are: A front panel mounted 6.35mm headphone jack socket and a stereo pair of RCA phono plugs on the rear panel. The stereo jack socket is of the switched type, disconnecting the rear output when the headphone jack is inserted. The volume control located in the centre of the front panel has infinitely fine control for maximum user friendliness even for the most sensitive ears. 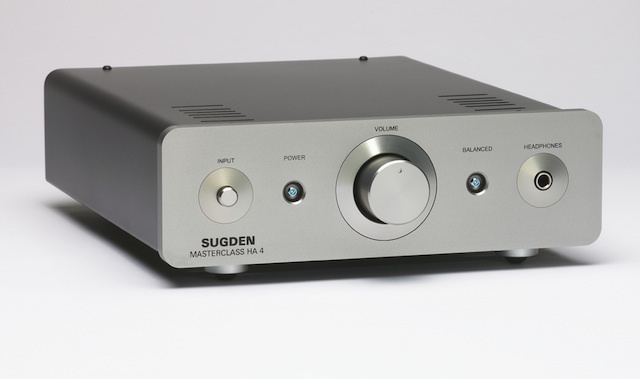 The electronic circuitry is a variant of Sugden ‘VCV’ pre-amplifier, coupled to a Pure Class ‘A’, zero feedback, mosfet output stage. The circuitry has been enhanced by a Discrete Constant Voltage Series Power Supply driven by a custom built single wound and shielded 43VA torroidal transformer. The ‘VCV’ circuit consists of a high input impedance voltage to current converter, variable current source and a current to voltage conversion stage. 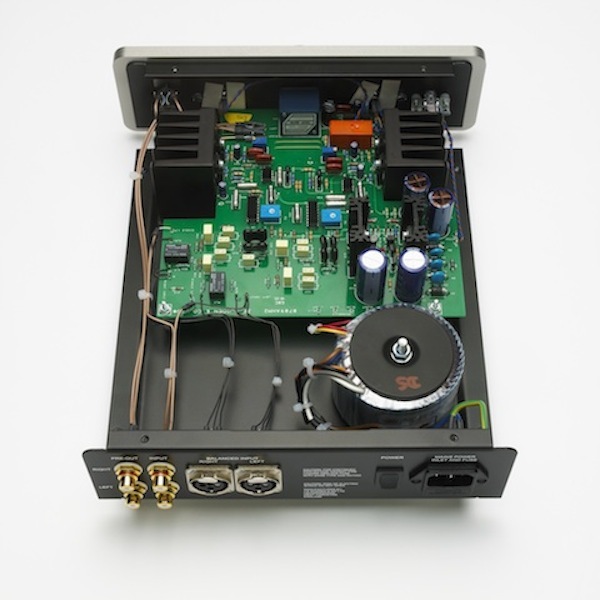 This configuration ensures absolute minimum loss of input information due to the high impedance, perfect current gain, without attenuation problems, and matched sound structure irrespective of output. The final current to voltage conversion stage is based on current feedback in line with the other stages previously mentioned. The Pure Class ‘A’, zero feedback, mosfet output stage is both very fast and unconditionally stable. Whilst the circuit concept and application are technically superb the final balance of musical performance is obtained by the use of quality components. Gold plated circuit boards silver soldered with components which are selected for their, sonic qualities, stability in performance and often many years of Sugden testing, application and listening. Inputs – One Balanced Pair XLR and One stereo pair Phono Connectors Gold plated. Outputs – One 6.35mm Phono Jack and One stereo pair Phono sockets. Frequency Response – 20Hz – 0.3dB to 30kHz -0.5dB. Signal to Noise – >95dB. Output Impedance – 1 Ohm. Overall Dimensions – 250mm (W) x 80mm (H) x 310mm (D). Recommended Retail Price – AUD$2,895.00.